Recently I had the opportunity to photograph a stunning mama and she was in her element! I am working on a few new techniques with lighting and am thrilled to see it come to life! Catherine is a natural in front of the camera, which made this shoot so fun and relaxing. It is obvious that the vintage pin-up is her forte. Thank you to the Rose family for letting us use your bike for such a unique shoot! I enjoyed this shoot so much, be on the look out for a model call for an upcoming project! The landscape of an image sets it’s tone and can bring energy to an image. Without the best landscape, the focus of the image can get lost and the message can become unclear. Fortunately, I am living in one of the most picturesque places on Earth-islands of the Pacific. I have miles of beauty to choose from and a wide array of backdrops to go with. Stacy is a good friend and already a wonderful mama. I am so incredibly thankful she and her hubby asked me to capture this journey for them. Please contact me at Chelsea@LifesongDesigns.com for details and pricing. Behind the scenes at the Hussey’s…. Have you ever referenced the fantastic view a “fly on the wall” has? I know I have! I often wonder how things look if I just take a moment to step back and think about nothing but what you are seeing. Sometimes we don’t have the time to do this and that is where I so greatly appreciate it when someone makes it possible for me to ponder the situation later! I am always thrilled when someone else surprises me by snapping some images while I work. After the session, when I get to step back and ponder it, the fact that someone was excited enough to want to share an image of the session brings a smile to my face. The captured workspace also shows me what I could have done differently in my set up. These are two things which make each session extremely valuable; appreciation of photography from someone other than me and the experience I gain. A big shout out to Chloe for asking me to be a part of something so special. Eloise is so precious, I hope there are many more behind the scenes chances with this family! I have thrown myself into many adventures throughout my life but never before have I seen such an exponentially growing appreciation for my decision to act. Over the past few weeks I have heard only the kindest of words and received an amazing outpouring of support from people all over, some who know me and some whom I have never met. This type of reaction to my business not only builds my self-esteem, but makes me incredibly grateful to have found such amazing clients and friends to start this venture along side. I have officially been in business for one week and I am excited to be filling my calendar with the Lifesong of many. It looks like through the end of the year, I will be capturing children’s lives which are just beginning and in their infancy all the way through senior’s who are thrilled to be taking the next step to adulthood. Later this month I have the privilege to honor our military families and be present for a special military homecoming. 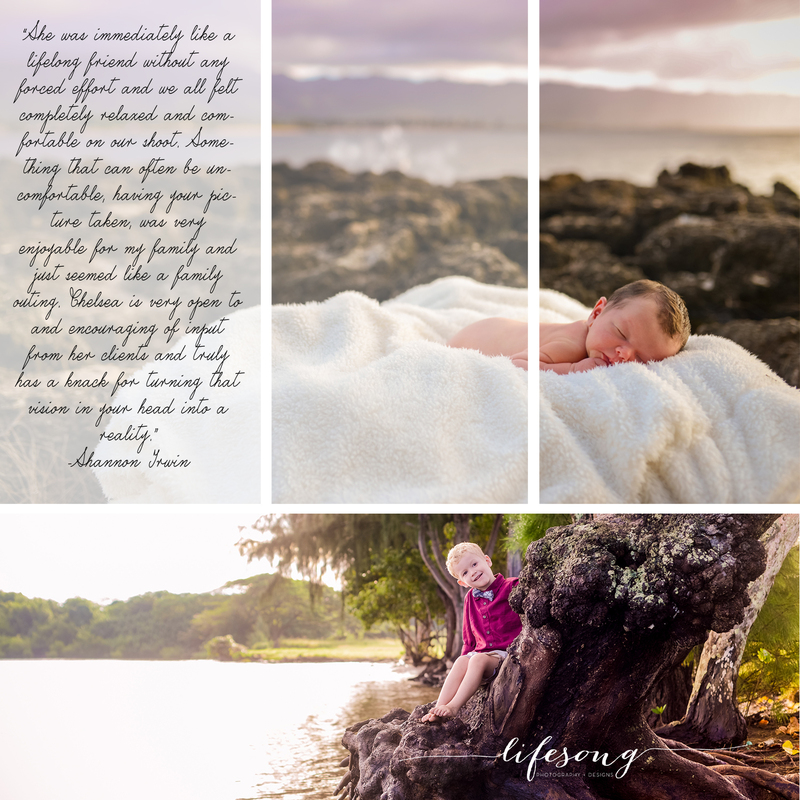 I will also be capturing the Island “Aloha” for a few families who are arriving on island or leaving island. Finally, no year is complete without couple’s portrait sessions and an up-and-coming, business product shoot. From Michigan to Hawaii my lenses will get quite a workout and I could not be happier. A special thank you to my good friends who have trusted me to snap images of their newborn and their families. To my mentors, I wouldn’t have had the self-confidence that I did. To my new clients for reaching out to me and props to Pro Camera Hawaii, who has helped my startup on island be so easy and comfortable. I look forward to making many memories with this new business and capturing YOUR Lifesong as we take this journey together. Contact me today at chelsea@lifesongdesigns.com to grab one of the last few slots available for the year! 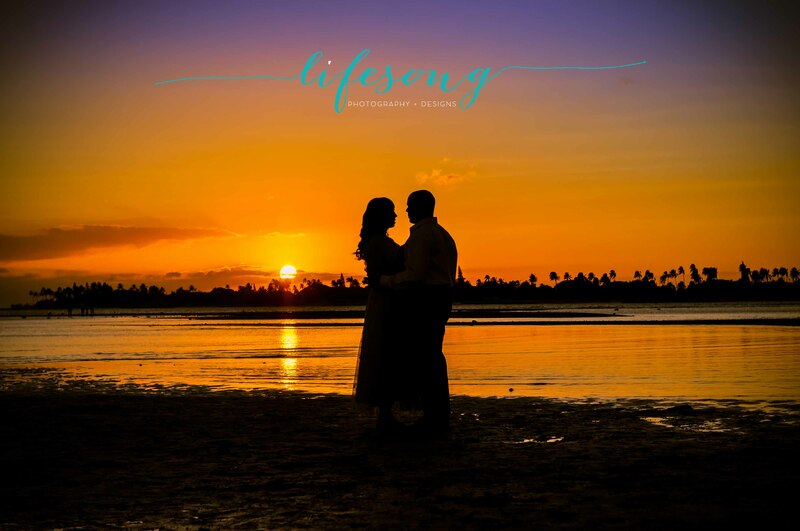 Thank you to Jenna Leigh Photography for hosting an event where I was able to snap this stunning sunset image.